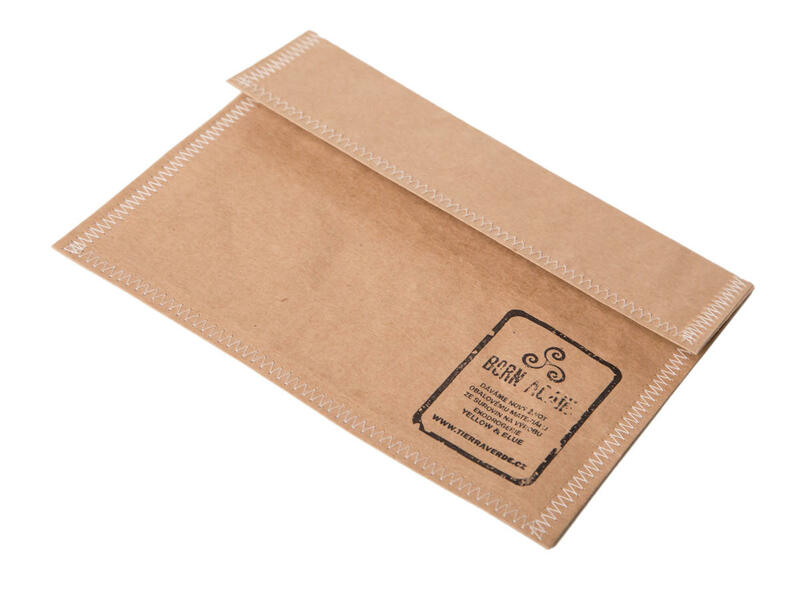 Brown envelope for (not only) letters, made from used raw materials packaging. From our product line BORN AGAIN. 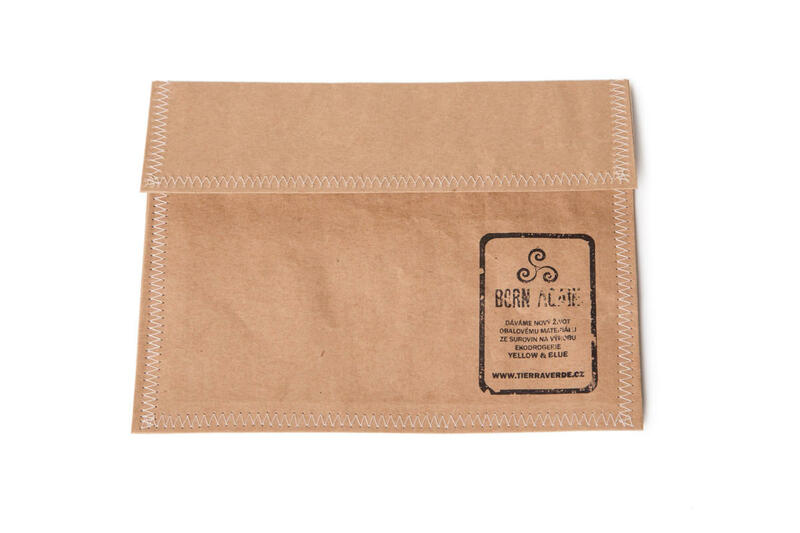 This letter envelope is made from reincarnated packaging material, namely from baking soda BIKA bags. Zero-waste and upcycling fans will love this product! The art of sending hand-written letters and cards to your loved ones has almost been forgotten. Let´s revive it with our envelope! And it is big enough to enclose more than just a letter. Surprise your friends! 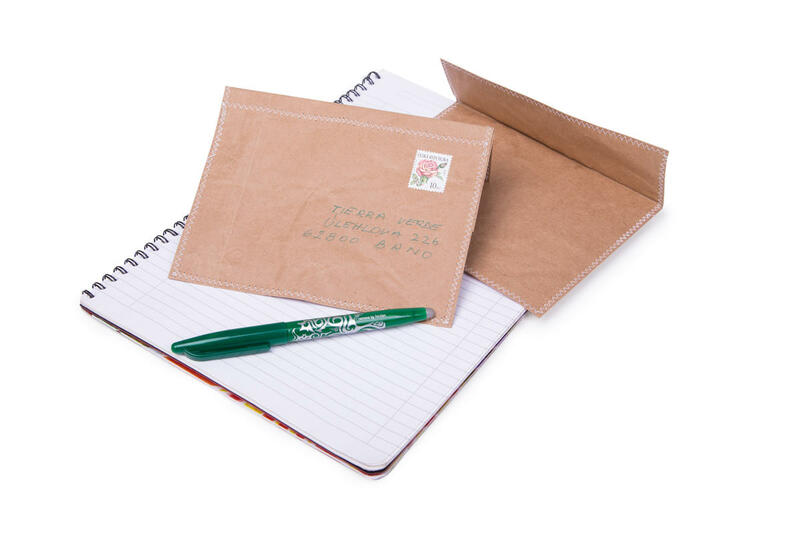 Just write your letter, fold the paper, put it into the envelope (there is no self-adhesive strip on the envelope so in order to seal it you will need glue), write your address, put the stamp on the envelope (stamps available at the post office) and throw it inside the post box. Our tip: Sprinkle the paper with your favourite essential oil and give it an individual scent. 100 % reincarnated paper from baking soda bags, the attentive care and craft of our seamstresses. Subject * Product inquiry Letter envelope A4 size – bulk 10 pcs RMA Misc.